Providing a personalized experience to your target audience is one of the keys to success for ecommerce companies. On your end, providing such an experience can lead to huge things for your company. Case in point, Certona found that personalization can lead to an increase in Average Order Value (AOV) of up to fifty percent. In turn, this means generating more revenue for less effort (and lower costs), and increasing the lifetime value (LTV) of your average customer. There are multiple ways to implement personalization into your marketing campaigns as well as many ways to increase your AOV. However, in this article, we’re going to focus on using Google remarketing campaigns to do both at the same time. Remarketing is the process of targeting certain members of your audience with ads based on actions these individuals have taken in the recent past. 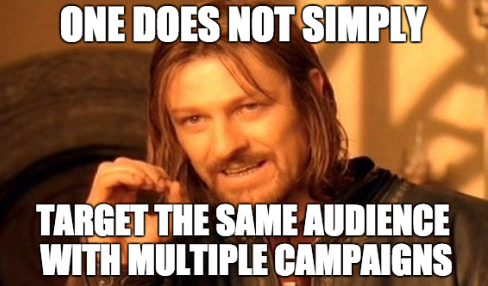 This, of course, is only one (very basic) way to implement remarketing into your Adwords campaigns. It’s much, much easier to get your loyal customers to spend more than it is to bring new customers aboard (or to convince your sporadic customers to do more business with your company). With this in mind, let’s focus on how to remarket to these individuals first. In either case, you’re looking to reach those who clearly appreciate the value your products bring to their lives. This group of customers will spend more money to receive said value. Your first order of business is to determine who your highest-value customers are (i.e., those whose AOV is above your overall AOV). Additionally, you want to determine which search terms they used to begin sessions that ended in a conversion. You can then create new Adwords campaigns featuring big-ticket items to be displayed to your high-value customers when they use specific search terms related to said items. To do so, you’d specify the campaign as Target and Bid – allowing you to increase your bids on search terms only when used by these high-value customers. Since these targeted customers typically spend more than your average customers, you don’t necessarily need to increase their AOV to increase your overall AOV. Rather, you just need to get them make purchases more regularly. This tactic serves to keep your brand on the top of your high-value customers’ minds. In turn, you increase the chances that they’ll engage more often with your company. On the opposite end of the spectrum, of course, are your low-value customers. You won’t be able to increase your overall AOV simply by getting these individuals to make purchases more often. In this case, you will need to get them to increase their spend per transaction through upselling. While you likely aren’t going to get these individuals to drastically increase their typical spend per transaction (at least not immediately), this is a case in which every little bit counts. The more they spend during their next transaction (and thereafter), the higher their LTV becomes – and the faster they approach a level of profitability for your company. Again, your goal here is two-fold. However, you’ll now want to define “Revenue Per Session” as less than your overall AOV. You may also want to create multiple audiences, identifying specific products or product categories for each. You can then create multiple ad campaigns showcasing higher-value products that are relevant to your individual low-value customers. When creating the ad campaign, you’ll want to specify “Target and Bid,” so that your ads (featuring higher-value products) appear to your low-value customers when they enter a specific search term. For example, if a customer had recently purchased a $20 pair of shorts from your store, and then searches for “men’s shorts” in the weeks to follow, you’d want your ad showcasing a $30 pair of shorts to pop up. As we said earlier, while it’s certainly beneficial to get your low-level customers to go above their normal spend range one time, your hope is that your ad serves to permanently increase their typical spending limit. Using the example from above, your ultimate goal isn’t to get the customer to buy one pair of $30 shorts – but to never again drop below that $30 threshold. Another option akin to – but not synonymous with – upselling is the cross-sell. Cross-selling is the act of showcasing complementary items to individuals who have purchased (or shown interest in) a given product. For example, a customer purchasing an iPhone might be interested in buying a phone case or a portable charger. Again, you can use Google’s remarketing campaigns to implement this strategy. Rather than focusing on high- or low-value customers (which you certainly can do, separately), you’ll want to focus on customers who have recently interacted with your brand in one way or another. Your goals, here, depend on which of the above categories a customer falls under. For those who have made a recent purchase, your goal is to showcase additional, supplemental items that will enhance their overall experience with the product they initially purchased. For those who have yet to make a purchase (whether they were just browsing, or they abandoned their cart), your goal is still to showcase these additional items. The hope is that the prospect of an enhanced experience prompts them to move forward with the purchase they had originally been mulling over. First things first, you need to have a clear understanding of which of your smaller items go hand-in-hand with your larger, more valuable products. From there, you’ll need to type in the actual page title of the product page in question. Then, click “Add Filter,” then select “Transactions Per User” from the drop-down menus, and input “0” as the value. After set up, you can then use Adwords to identify specific products you’d want to cross-sell to your customers. For example, for those who checked out the product page for welted buck shoes in the screenshot above, the company may decide to display an ad showcasing a matching belt or pair of socks. It’s no secret that most ecommerce companies see their sales numbers increase rather drastically during certain points of the year. Needless to say, the latter choice will certainly be more beneficial to your company. Get your seasonally-high AOV customers to continue making purchases that are above their “normal” AOV. To create an audience made up of seasonally-high AOV customers, you’ll again venture over to “Advanced Conditions,” then filter by “Session Date,” as selected from the drop-down menu. From there, you can either select a specific date (such as Black Friday of the past year), or a span of dates as decided by your marketing team. You’ll then add another filter, “Revenue per session,” and modify the filter to include only transactions which were above your overall AOV. When you apply this new list to an already-existing ad campaign, you’ll want to select Bid Only. In turn, you’ll automatically bid more when high-value customers (those who apply to your created list) use the search terms connected to the campaign in question. At the same time, this will keep your bid steady for those not included in this newly-created list. Finally, it’s important to note that getting first-time buyers to increase their order value is an incredibly effective way to increase your overall AOV. As we alluded to earlier, the more your customers spend from the get-go, the quicker you’ll be able to reach profitability with each of your newcomers. In turn, your cost per acquisition will plummet – and your customer’s lifetime value will inherently skyrocket. Your goal here shouldn’t just be to get a new customer onboard. Rather, you want to focus on getting your brand new customers to come onboard with a bang! To do this, you’re going to get your customer to make a higher-than-expected first purchase. The process for creating a new audience depends on which of the two aforementioned categories you’re focusing on. First, look at your existing data to determine how many sessions it usually takes for a newcomer to convert. From there, define the number of sessions to be equal to the path length that shows the most number of conversions (in the example above, this would be either 1 or 2). Additionally, set “Transactions per user” to zero. For this ad campaign, you’ll want to select “Bid Only.” This will increase your bid when those who have visited your site an optimal number of times use search terms related to your campaign. Within Audience Builder, click “Advanced Conditions,” then select “Users” from the filter drop-down menu. From the drop-down menu below, select the specified action you want to focus on. From the remaining drop-down menus, select “Per Users,” and “≥ (greater than or equal to),” then input 1 as the value. (This will ensure that even those who took the same action twice will still fall into this audience). Next, add another filter, and select “Order Complete,” “Per Session” and define the value as equal to zero. To reiterate, the goal is to pinpoint those who have taken a specific action (in this case, signed up for your mailing list), but have not yet made a purchase. Again, you’ll want to select Bid Only for this audience. This will allow you to maximize your bid for individuals who fall into this category. Within your actual ads targeting these individuals, you have a number of potential tactics at your disposal. You can choose to upsell customers once they’ve checked out similar, but less-valuable ones or cross-sell them on related items. Additionally, you can simply provide a one-time discount for high-value products to your new customers. The choice for how to best target these individuals is up to you. There’s a lot to keep track of when it comes to analyzing your customers’ actions. Which is why it’s essential for online store owners to take full advantage of Google remarketing campaigns.